We work closely with curators on the interpretation of objects and themes to design compelling exhibitions and Museum displays. Tuch have successfully completed many Museum exhibitions, touring and permanent displays, and can offer a complete service of design, project management and marketing. We work closely with curators from early in the planning of exhibitions, through the interpretation of objects and themes and the design of graphics to overseeing installation of compelling exhibitions and Museum displays. 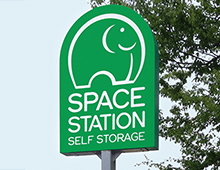 Our display services include 3D design and planning, exhibition identity and graphic design, display design, signage systems, publicity and publication design. Hand or computer rendered 3D visuals and walk-through simulations help clients to visualise our schemes. As project managers we have built a network of specialist exhibition associates and can put together a team to deliver your project. 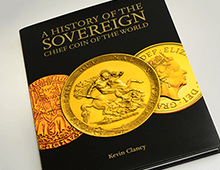 Our permanent display work can be seen throughout the Bank of England Museum, including the newly refurished Banknote Gallery. 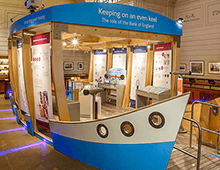 We have designed exhibitions at the Bank of England since 1996. We also design books, publications, marketing materials and websites to accompany your exhibition or visitor attraction. In addition to museum displays and galleries we design for trade shows and corporate events, bespoke exterior and interior graphic panels and signage. Whatever your project, we aim to produce creative, innovative solutions, achieved on time and on budget. Our reputation is founded on our enthusiasm and reliability, and much of our business comes from recommendations. Tuch Design is a Corporate Member of the Museum Association.